Please note there will be NO MOTORHOME PARKING available at this year’s show. as this area is to be used for disabled parking.Tickets on sale from 1st April 2018. Due to the additional disabled parking required for this event we regret we will be unable to accept motorhomes as this area is to be used for disabled parking. Tickets on sale from 1st April 2018. 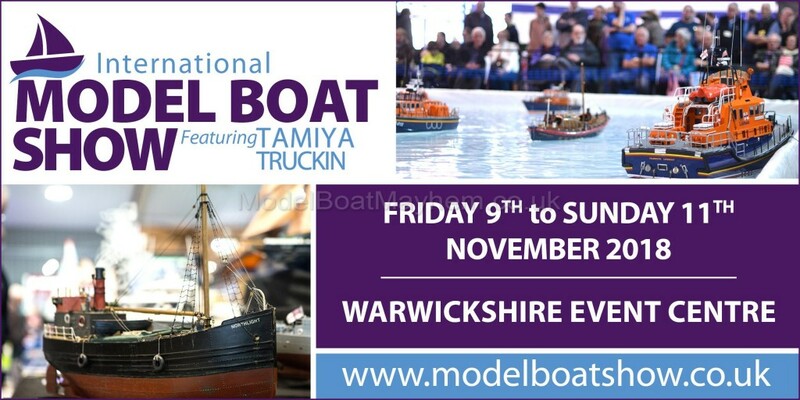 About the Exhibition We are pleased to announce that the 2018 International Model Boat Show will be returning from Friday 9th – Sunday 11th November to the Warwickshire Event Centre. The show will as usual provide visitors with a packed exhibition hall with over 600 fantastic models from over 25 club and society displays. The excellent and varied display of models from early warships to modern power boats and ships will be complemented by action on the large indoor boating pool. Over twenty specialist suppliers will also be present offering visitors everything they could need for their boat builds and other modelling needs. Make a date in your diary now for this event Friday 9th – Sunday 11th November. * Advance tickets are available via our website at discounted prices until Sun 11th November 2018 if you order your tickets yourself on-line. ** Full price tickets are available on the day from the ticket office or by phone or post before Sun 11th November 2018.
Who is Exhibiting at the INTERNATIONAL MODEL BOAT SHOW Below is a list of exhibitors that are attending INTERNATIONAL MODEL BOAT SHOW, please click the links for more details. The International Model Boat Show is the only 3-day marine modelling exhibition dedicated to all aspects of marine modelling - an event not to be missed! 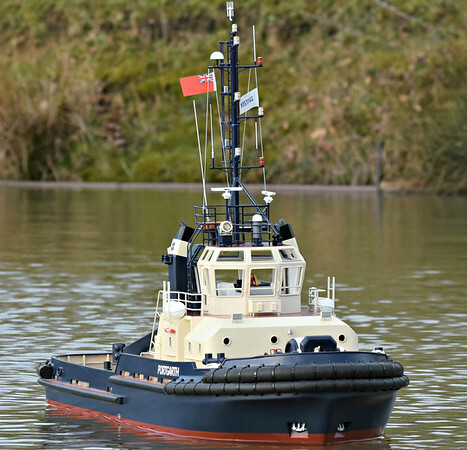 It is widely regarded as one of the UK’s leading marine modelling exhibitions and takes place from Friday 9th to Sunday 11th November at the Warwickshire Event Centre. Please call SEE Tickets on 0115 896 0154 if you would like to book a ticket by phone. Alternatively, tickets are available on the day of your visit to the exhibition at full price. Born free, forced to work! Hi all, does anyone know if there is a bring and buy at the show? There is definitely no 'Bring and buy'. Private sales are not permitted on the premises. I can understand why as when you see people walking out with built boats you could wonder if they had borrowed it from a stand ..permanetly.. However Warwick does have a big area near reception which could be used before you enter the show..
Will you be coming Larry ? everything sorted......will be up friday. Unfortunately probably not as big job on at home.. Have a great time.. I'm keeping my EYE on you Nick! Sherlock's not even in our league . and sorry john44, but your miles off as well. all will be revealed at Warwick, if YOU keep your eyes peeled! See you there, Friday, Saturday & Sunday! Make the most of it. In 2019 it will just be Saturday and Sunday! Dortmund dropped to 4 days from 5 this year. A sign of the times? There will be no 2019 show but the BSMEE are hopeful it will return in 2020 at a new venue. Anyone else staying on the racecourse CC site?